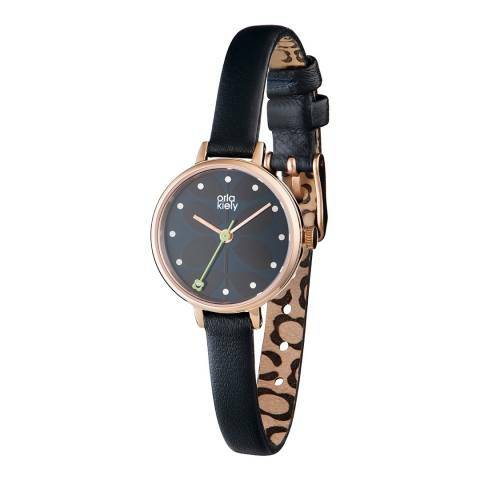 This stylish modern Orla Kiely Time piece is a subtle way to express your love for the cool sixties style. The polished rose gold case would complement any outfit and works perfectly with the navy strap. 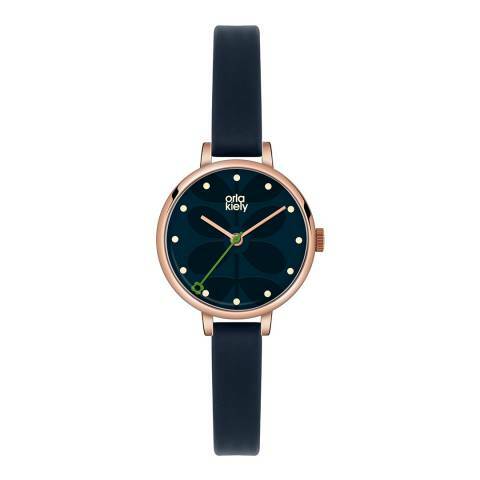 The dark navy dial features an enlarged section of the traditional and globally recognised stem print with an eye catching green seconds hand.